The wildest comedy show/drinking game/game show in the country returns to Manhattan March 29th!! 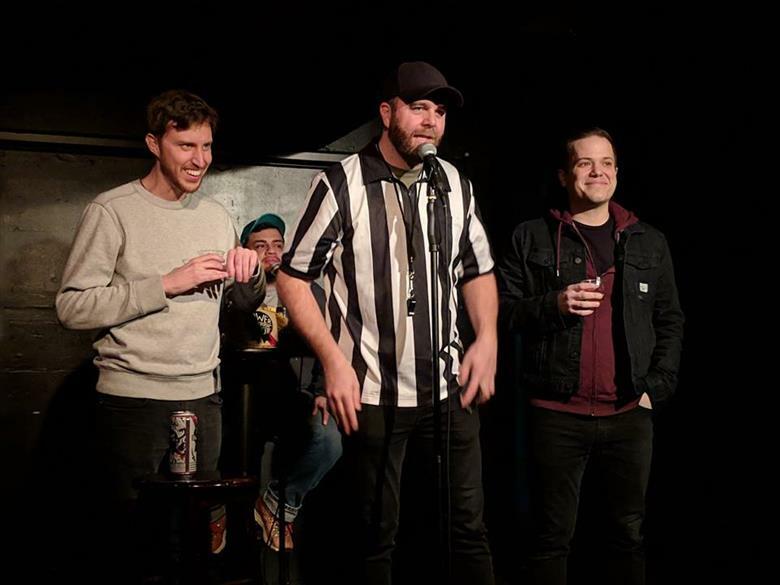 Comedians’ Power Hour (CPH) is a touring comedy show that pits two comedians in head-to-head competition telling jokes and taking shots of beer on an exciting and inebriated journey to be crowned Power Hour Champion. Inspired by the college drinking game, a CPH has comics trading off doing two-minute sets of stand-up all the while taking 2oz. shots of beer between each set. As the hour goes on, hosts throw out challenges that play into the comics’ intoxication levels like doing two minutes of another comics’ material or giving a drunken Best Man Speech. Hosted by Sarah Kennedy and Brett Hiker, CPH originated in Albuquerque, NM and now has offshoots in NYC, Denver, Austin, Seattle and tours everywhere in between. Seeing a chance to change the typical comedy show format, a handful of Albuquerque comics created a game show that features a mixture of comedic styles and genres.